Amid the distractions of the holiday season, The New York Times revealed that the Obama administration is considering a Pentagon proposal to create a “new” and “enduring” system of military bases around the Middle East. Though this is being presented as a response to the rise of the Islamic State and other militant groups, there’s remarkably little that’s new about the Pentagon plan. For more than 36 years, the US military has been building an unprecedented constellation of bases that stretches from Southern Europe and the Middle East to Africa and Southwest Asia. The record of these bases is disastrous. They have cost tens of billions of dollars and provided support for a long list of undemocratic host regimes, including Saudi Arabia, Bahrain, Qatar, and Djibouti. They have enabled a series of US wars and military interventions, including the 2003 invasion of Iraq, which have helped make the Greater Middle East a cauldron of sectarian-tinged power struggles, failed states, and humanitarian catastrophe. And the bases have fueled radicalism, anti-Americanism, and the growth of the very terrorist organizations now targeted by the supposedly new strategy. Far from new, however, this strategy predates both the Islamic State and Al Qaeda. In fact, it goes back to 1980 and the Carter Doctrine. That was the moment when President Jimmy Carter first asserted that the United States would secure Middle Eastern oil and natural gas by “any means necessary, including military force.” Designed to prevent Soviet intervention in the Persian Gulf, the Pentagon build-up under Presidents Carter and Ronald Reagan included the creation of installations in Egypt, Oman, Saudi Arabia, and on the Indian Ocean island of Diego Garcia. During the first Gulf War of 1991, the Pentagon deployed hundreds of thousands of troops to Saudi Arabia and neighboring countries. After that war, despite the disappearance of the Soviet Union, the US military didn’t go home. Thousands of US troops and a significantly expanded base infrastructure remained in Saudi Arabia and Kuwait. Bahrain became home to the Navy’s Fifth Fleet. The Pentagon built large air installations in Qatar and expanded operations in the United Arab Emirates (UAE) and Oman. Following the 2001 invasion of Afghanistan and the 2003 invasion of Iraq, the Pentagon spent tens of billions of dollars building and expanding yet more bases. At the height of those US-led wars, there were more than 1,000 installations, large and small, in Afghanistan and Iraq alone. 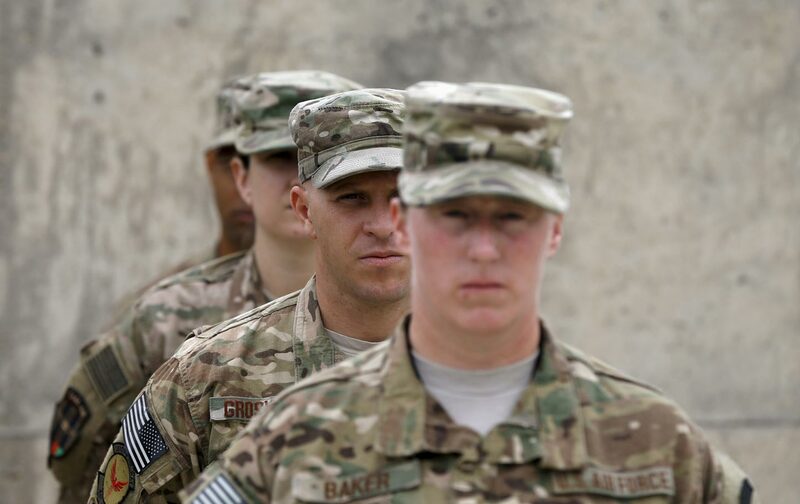 Despite the closing of most US bases in the two countries, the Pentagon still has access to at least nine major bases in Afghanistan through 2024. After leaving Iraq in 2011, the military returned in 2014 to reoccupy at least six installations. Across the Persian Gulf today, there are still US bases in every country save Iran and Yemen. Even in Saudi Arabia, where widespread anger at the US presence led to an official withdrawal in 2003, there are still small US military contingents and a secret drone base. There are secret bases in Israel, four installations in Egypt, and at least one in Jordan near the Iraqi border. Turkey hosts 17 bases, according to the Pentagon. In the wider region, the military has operated drones from at least five bases in Pakistan in recent years and there are nine new installations in Bulgaria and Romania, along with a Clinton administration-era base still operating in Kosovo. In Africa, Djibouti’s Camp Lemonnier, just miles across the Red Sea from the Arabian Peninsula, has expanded dramatically since US forces moved in after 2001. There are now upwards of 4,000 troops on the 600-acre base. Elsewhere, the military has quietly built a collection of small bases and sites for drones, surveillance flights, and Special Operations forces from Ethiopia and Kenya to Burkina Faso and Senegal. Large bases in Spain and Italy support what are now thousands of US troops regularly deploying to Africa. After 36 years, the results of this vast base build-up have been, to put it mildly, counterproductive. As Saudi Arabia illustrates, US bases have often helped generate the radical militancy that they are now being designed to defeat. The presence of US bases and troops in Muslim holy lands was, in fact, a major recruiting tool for Al Qaeda and part of Osama bin Laden’s professed motivation for the 9/11 attacks. Part of the anti-American anger that such bases stoke comes from the support they offer to repressive, undemocratic hosts. For example, the Obama administration offered only tepid criticism of the Bahraini government, crucial for US naval basing, in 2011 when its leaders violently cracked down on pro-democracy protesters with the help of troops from Saudi Arabia and the UAE. Elsewhere, US bases offer legitimacy to hosts the Economist Democracy Index considers “authoritarian regimes,” effectively helping to block the spread of democracy in countries including Cameroon, Central African Republic, Chad, Djibouti, Egypt, Ethiopia, Jordan, Kuwait, Oman, Qatar, Saudi Arabia, and the UAE. The only plausible explanation for such low-ball figures is that officials are taking for granted—and thus excluding from their estimates—the continuation of present wartime funding levels for those bases. In reality, further entrenching the Pentagon’s base infrastructure in the region will commit US taxpayers to billions more in annual construction, maintenance, and personnel costs (while civilian infrastructure in the United States continues to be underfunded and neglected). In fact, the Pentagon is undoubtedly resorting to an all-too-familiar funding strategy—using low-ball cost estimates to secure more cash from Congress on a commit-now, pay-the-true-costs-later basis. Experience shows that once the military gets such new budget lines, costs and bases tend to expand, often quite dramatically. Especially in places like Africa that have had a relatively small US presence until now, the Pentagon plan is a template for unchecked growth. As Nick Turse has shown at TomDispatch, the military has already built up “more than 60 outposts and access points…. in at least 34 countries” across the continent while insisting for years that it had only one base in Africa, Camp Lemonnier in Djibouti. With Congress finally passing the 2016 federal budget, including billions in increased military spending, the Pentagon’s base plan looks like an opening gambit in a bid to get even more money in fiscal year 2017. Above all, the base structure the Pentagon has built since 1980 has enabled military interventions and wars of choice in 13 countries in the Greater Middle East. In the absence of a superpower competitor, these bases made each military action—worst of all the disastrous invasion of Iraq—all too easy to contemplate, launch, and carry out. Today, it seems beyond irony that the target of the Pentagon’s “new” base strategy is the Islamic State, whose very existence and growth we owe to the Iraq War and the chaos it created. If the White House and Congress approve the Pentagon’s plan and the military succeeds in further entrenching and expanding its bases in the region, we need only ask: What violence will this next round of base expansion bring? Thirty-six years into the US base build-up in the Greater Middle East, military force has failed as a strategy for controlling the region, no less defeating terrorist organizations. Sadly, this infrastructure of war has been in place for so long and is now so taken for granted that most Americans seldom think about it. Members of Congress rarely question the usefulness of the bases or the billions they have appropriated to build and maintain them. Journalists, too, almost never report on the subject—except when news outlets publish material strategically leaked by the Pentagon, as appears to be the case with the “new” base plan highlighted by the New York Times.